Deepika Padukone and Ranveer Singh are back to their work lives after the extravaganza that was their wedding. Held in Lake Como, Italy, with wedding receptions in Bengaluru and Mumbai, the wedding had whole of India participating vicariously via their photos shared on social media. 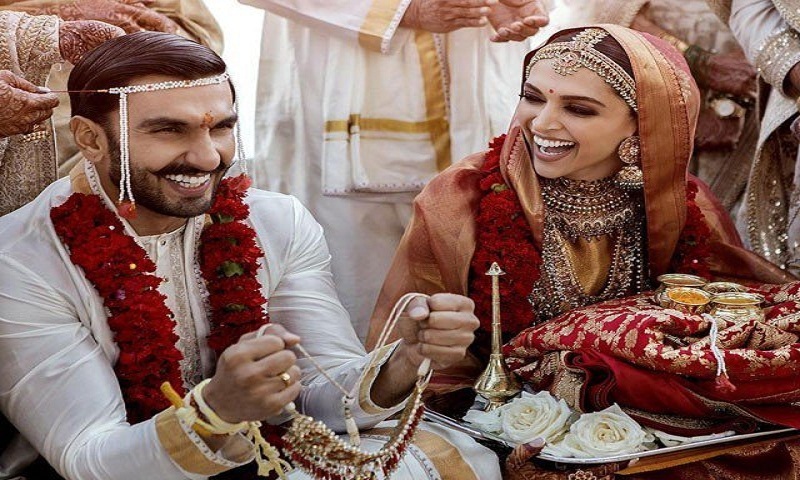 The actor – wearing a mangalsutra, sindoor and choora, red and white bangles worn by new brides – has been making to headlines every day. And now, with a GQ cover where she sports a blue monokini with black leather pants – Deepika is channelling raw power, reports Hindustan Times.